We had a great vacation in sunny Maui. The condo was very well located. Very quiet. The condo unit itself is quite dated and could use some updating. Overall it was comfortable. This unit is not well stocked for beach items. Has lawn chairs but no beach type chairs. Overall it was an acceptable unit with very few complaints. Our vacation rental experience was professional and easy. All interactions took place as expected. The Kamaole Sands complex was very clean and quiet. The inclusion of bar-b-ques throughout the complex made evening grilling a breeze. The top floor condo with a sunset view was comfortable and well equipped. The kitchen had all needed conveniences to include a rice cooker, toaster and tea pot. The beds were very comfortable. The inclusion of beach items such as chairs, wave boards, sand toys and towels eliminated the need to rent from a local vendor or bring on the airplane. We would absolutely rent this unit again. Aloha Brent, We are so very pleased to read your review and find that you had a good experience staying at the Kamaole Sands property. We look forward to assisting you with your future plans on Maui. Mahalo, The staff of Kumulani Vacations & Realty, Inc.
Kamaole Sands was in a great location for walking to restaurants, shopping and the beach is right across the street. The complex had a nice pool area and plenty of BBQ areas. Our unit was spacious and clean with a view of the ocean from the balcony. We would stay here again. Aloha Jonathan, The staff of Kumulani Vacations is very pleased that you enjoyed your stay at the Kamaole Sands. Mahalo for the wonderful review. We look forward to assisting you when planning your next Maui Vacation! 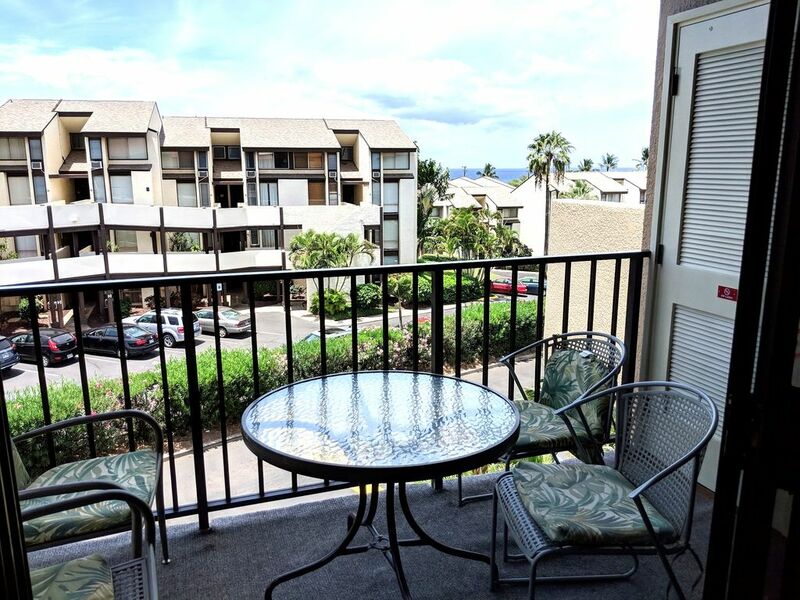 Kumulani Vacations & Realty, Inc.
Kihei was a real disappointment. The condo was not very nice, no lanai, no BBQ, not too clean (torn & dirty towels. We never cooked dinner at home (which we enjoy when we rent a condo). The kitchen was not too clean. The grounds were terrible. In other words, I would never recommend the place noir return there. I must say that it was really not what we expected in Maui. But the first 5 days at Ekahi Village were terrific. Vacation property was good had three of us staying here, property exactly as shown . We have been here 2 times now, each time for a few weeks. We love the apartment, the location, everything is great... except the beds and linens. The beds are so old, soft, sagging and dirty, we found ourselves looking forward to leaving. All 4 of us got back aches from the old worn out beds and the linens were just dirty. It's a shame because it's a quick & affordable fix, otherwise the apartment is perfect, great service from the rental agency too. Will return to this complex, but not this apartment due to the beds. Thank you for bringing this to our attention and we will certainly act on this quickly! You're right, a quick fix and we most definitely want our guests to have a comfortable sleep. Your comments is most appreciated to help us improve our condos.